Tracked and made easily understandable. 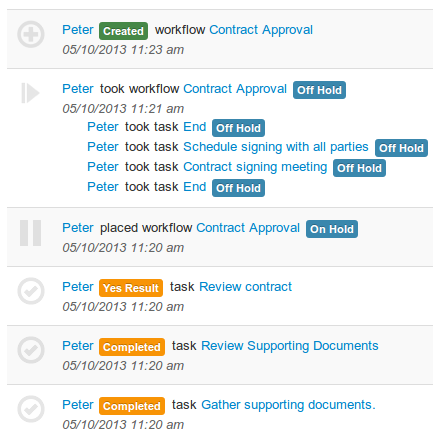 View a workflow's activity history all in one place. 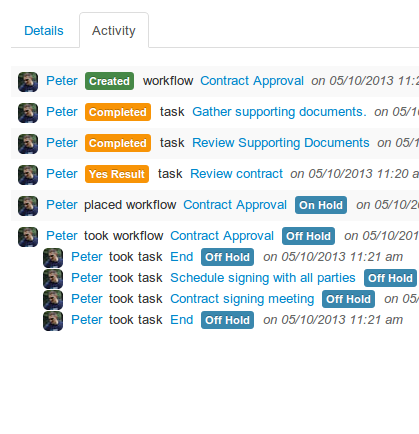 All of the workflow's task activity rolls up into the workflow give you a quick overview. 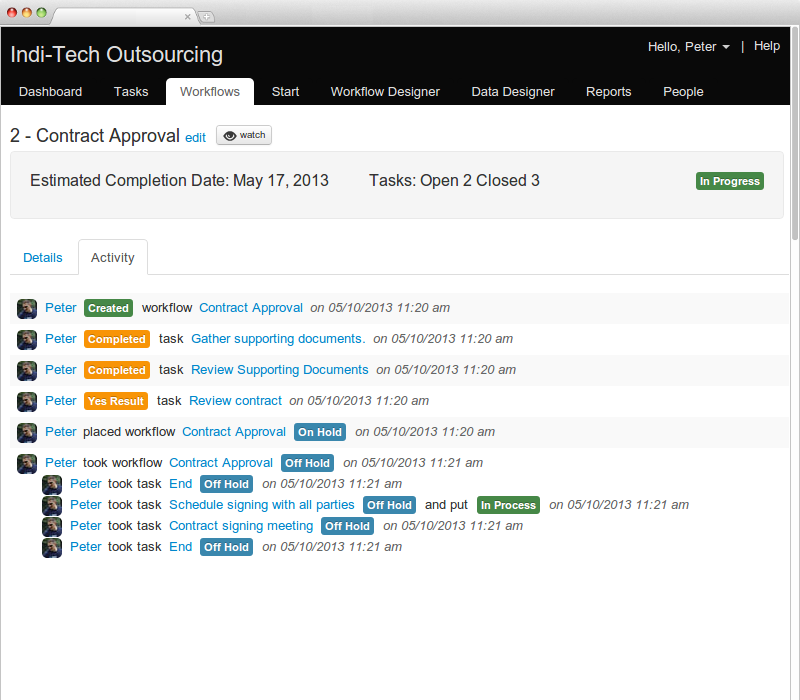 Drill down into individual tasks to review their activity history. Assignments and status changes are all logged. 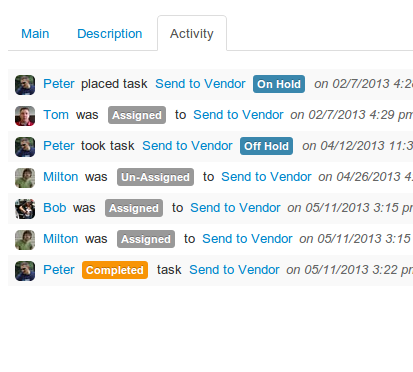 From the dashboard, mangers can switch between users to view their recent activity across all workflows and tasks.